Salmon Creek, the site of several historically significant developments in precolonial North Carolina, lies in southeastern Bertie County, where it empties into Albemarle Sound just south of the mouth of the Chowan River. In 1586 Ralph Lane's colonists found a Weapemeoc Indian village called Metakquam (also Metocuuem), apparently on the south bank of the Salmon Creek's mouth. Nicholas Comberford's 1657 map depicts a structure at the same location labeled "Batts House," referring to the trading post built in 1653 for fur trader Nathaniell Batts of Lynnhaven River, Va. Batts appears to have made his home at the site of present-day Edenton, occupying the trading post only seasonally. 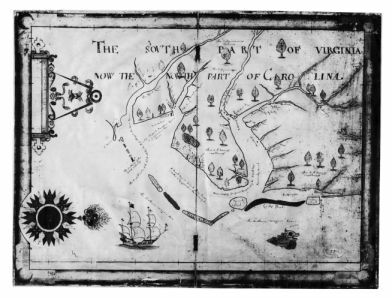 Evidence indicates that a small refugee settlement of Chuckatuck, Va., Quakers occupied the site for about six years before being driven off by the Tuscarora Indians in 1667. The trading post appears to have continued to function under a succession of operators until the early eighteenth century. John Lawson visited Salmon Creek prior to 1710 and described the then-existing structure as "a log house such as the Swedes in America very often make, and are very strong." The area had been designated by the Lords Proprietors in 1676 as a site for one of three towns they wished to be established "where the shipps shall lade and unlaid." In the 1680s and 1690s Proprietor Seth Sothel, perhaps with that end in mind, built a considerable establishment at the site with a two-story manor house, ship's landing, dairy house, and stock of cattle. Throughout most of the eighteenth century it was owned by William Dukinfield and his descendants. At Dukinfield's death in 1721 the property went to his nephew, Nathaniel Dukinfield, who also later inherited the baronetcy of his father, Sir Robert Dukinfield. The Dukinfields built a gristmill on Salmon Creek by 1721 and a "pitch landing" for the naval stores business by 1738. Governors Edward Hyde and Thomas Pollock also lived at the site, and the main engagement of the Cary Rebellion was fought at the creek's mouth in June 1711. Salmon Creek was the principal setting for George Higby Throop's novel, Bertie; or, Life in the Old Field (1851). The Capehart family operated a highly successful herring fishery at Avoca, with its plantation on Salmon Creek, during most of the nineteenth century and into the twentieth century. Mattie Erma Edwards Parker, ed., North Carolina Higher-Court Records, 1670-1696 (1968). Parker, ed., North Carolina Higher-Court Records, 1697-1701 (1971). 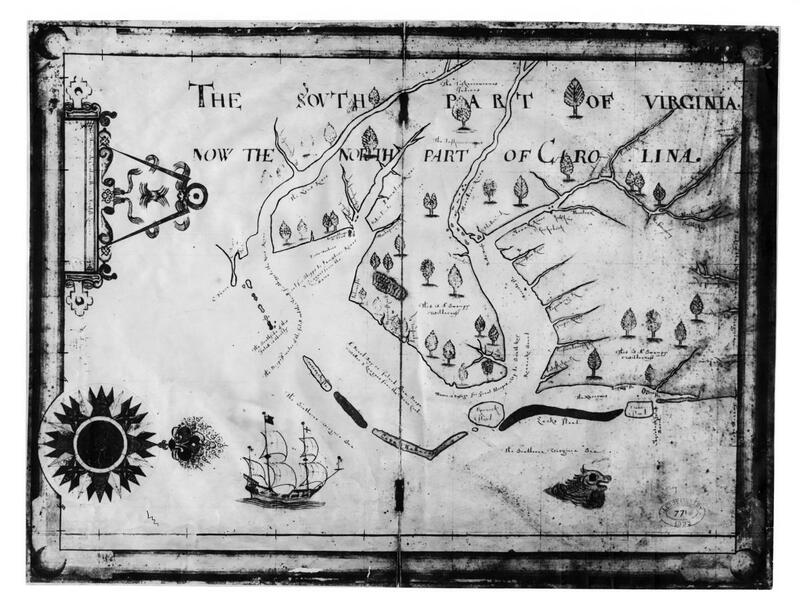 "Nicholas Comberford’s 1657 map, The South Part of Virginia Now the North Part of Carolina." Image courtesy of North Carolina Office of Archives and History via LearnNC. Available from http://www.learnnc.org/lp/multimedia/7780 and NCDCR Archives record.